We've just wrapped up IBIE 2016! Thank you to everyone who was able to visit us at the show. If you were not able to see us in Las Vegas this year, you can still take a look at the conveyors we displayed in the booth on the Dorner Blog. PACK EXPO 2016 will be held next month in Chicago, IL. Before you have a chance to visit us in booth N-5945, we'll be showing you a preview of the conveyors we're bringing this year. For our first preview, we are highlighting two of the sanitary conveyors we will be displaying at the show - the AquaPruf 7600 VBT and the AquaPruf 7600 Ultimate conveyors. â€‹Stay tuned for more videos in the coming weeks. 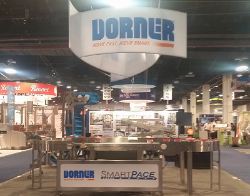 Dorner's 2200 Series SmartFlex conveyors are one of Dorner's most flexible systems available. 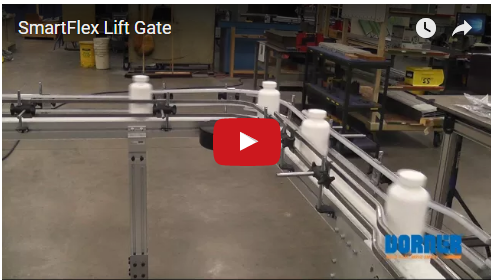 For this application, the customer was moving bottles on a packaging line and needed added versatility. Besides utilizing the flexibility of the SmartFlex conveyor's tight turns and long runs, the customer required a system that could accommodate multiple bottle sizes. Also, the customer needed a walk through area to access a capping machine. 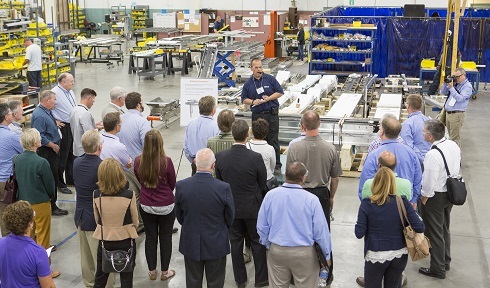 Over 275 processing and packaging professionals from throughout North America toured Dorner as part of PMMI's Annual Meeting, Sept. 19-21, in Milwaukee. Dorner, a 16-year member of PMMI, The Association for Packaging and Processing Technologies, landed the honor of co-hosting the event along with KHS USA, a filling and packaging company located in Waukesha, Wisconsin. PMMI is a trade association comprised of more than 700 packaging-related member companies throughout North America.